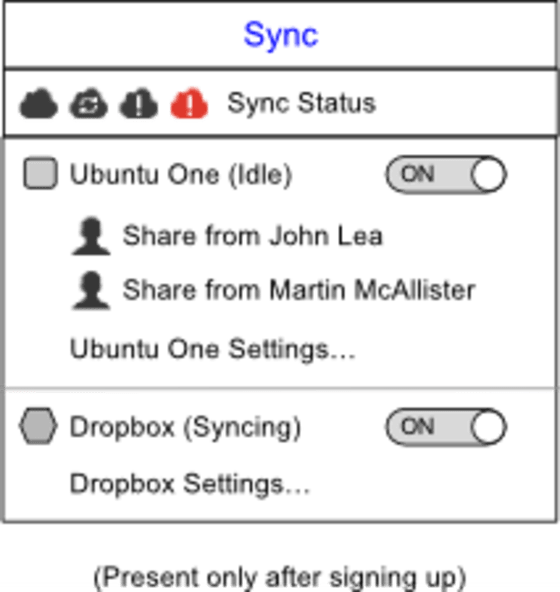 Over the past two years, Ubuntu has introduced a suite of status menus — known to Ubuntu geeks as “indicators” — in the top corner of the screen. In Ubuntu 12.10, we plan to refine these menus to address several long-standing problems. If you’re a programmer, tester, or visual designer, there are plenty of opportunities for you to help out. In updating the design, our general theme has been improving relevance — showing menus, and items in menus, only when they are relevant to you. For example, if you never use a VPN, it shouldn’t take up space in the network menu. If you never use Gwibber, it shouldn’t take up space in the messaging menu. 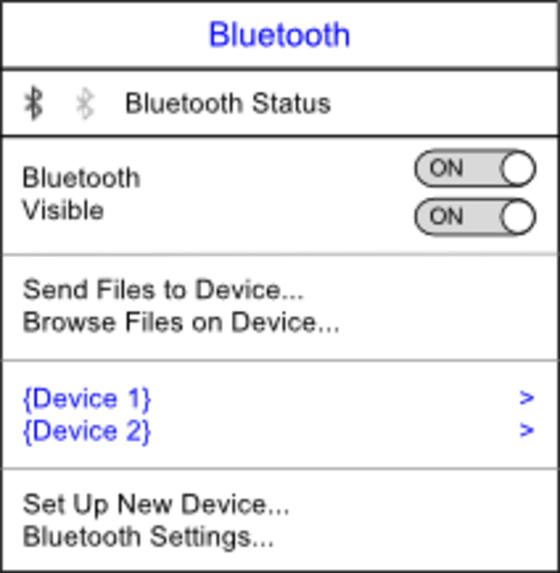 If you never use a Bluetooth device, you shouldn’t need to see the Bluetooth menu. And so on. It’s been hard to find which version of Ubuntu you are using. This will now have a dedicated menu item. Finding the Ubuntu Help has also been difficult. That will now have an always-present menu item too. One more detail. 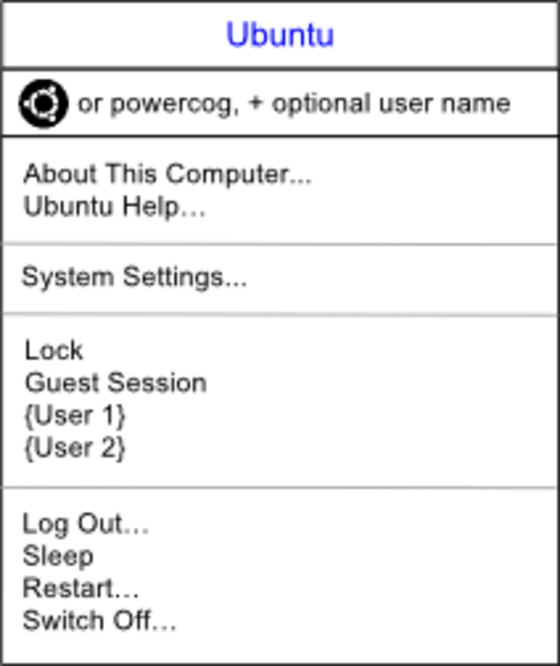 When Ubuntu used a home icon to represent the Nautilus file manager, usability testing found that people thought it was a launcher or starting point. (This isn’t surprising, given the strong connotations of Home in other applications.) The Unity Dash, meanwhile, is exactly that kind of starting point. So one possibility under discussion is changing the Dash launcher icon to a home icon — which the Dash already uses for internal navigation anyway. How is that relevant to the status menus? It raises the possibility that we could use the Ubuntu logo, if it won’t be in the launcher, as the title of the system menu instead. We plan to test this against the powercog icon, and see which works better. Many improvements can be made to the clock menu, but the design will remain much the same. We’d like to add the ability to set a basic alarm, and if it’s set, this will be shown using an icon in the menu title. 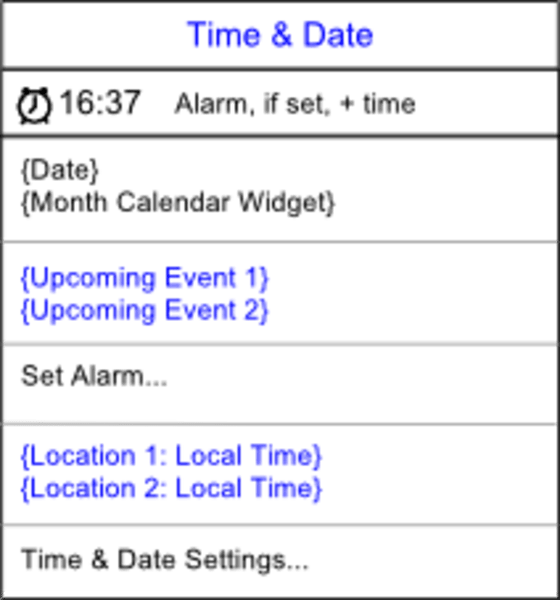 If you’re a programmer and know your way around C and GObject, another simple enhancement would be populating the coming events section of the menu from a Web calendar, such as Google Calendar. 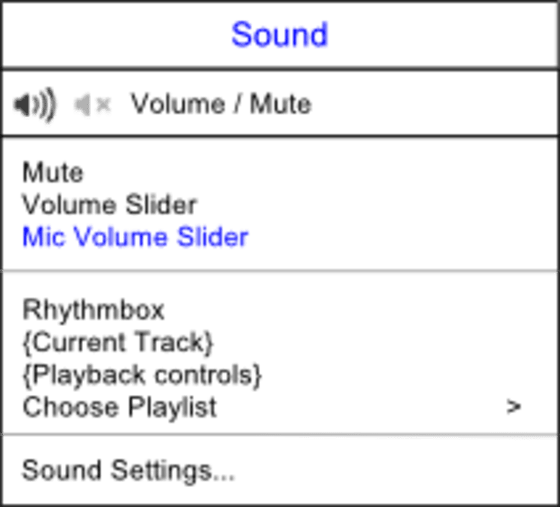 The sound menu design will remain unchanged in 12.10. As with the clock menu, though, there are plenty of minor improvements to work on. Ubuntu’s network menu is powered by Network Manager, and our design is a visual presentation of where we’d like to take it in future. 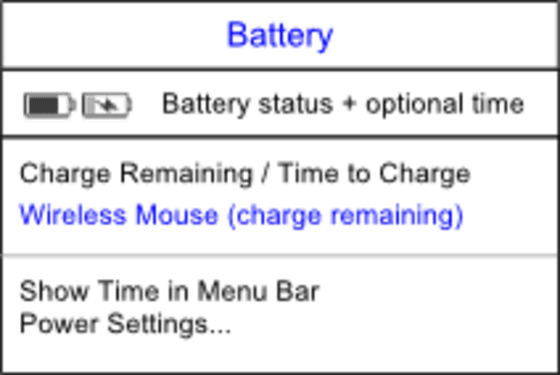 It simplifies the current menu by using consistent on/off switches for connection types, removing needless separators, and showing less common functions — mobile broadband and VPNs — only if you have set them up in the Network settings. 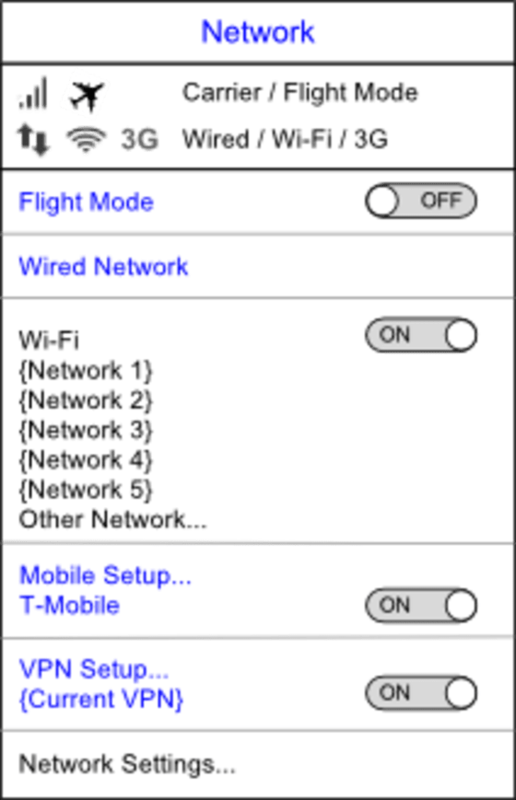 As with the network menu, we’d like to simplify the Bluetooth menu by using on/off switches and reducing separators. The battery menu design will stay the same. 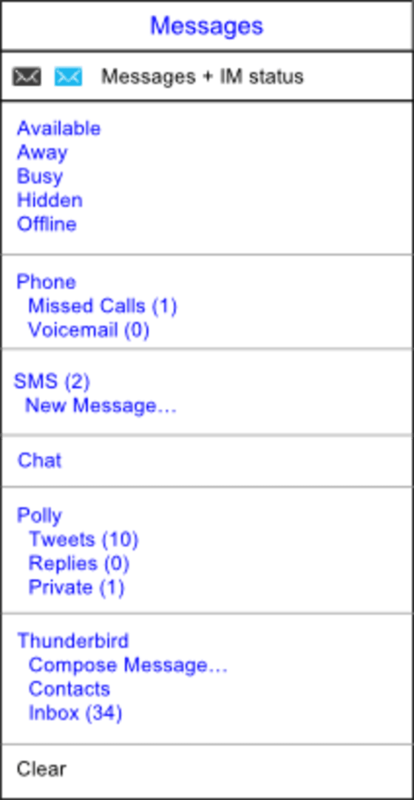 We plan to simplify the messaging menu by removing the default Chat, Mail, and Broadcast items. Instead, messaging programs will show up only if you have set them up, and will show up under their own names. As well as shortening the menu, this will solve the problem that nobody knows what “Broadcast” means. In Ubuntu for Android, the messaging menu will naturally expand to show missed calls, voicemail, and SMS messages. From this menu, you’ll be able to turn each service off and on — turning them off if you’re trying to download something in a hurry, for example. You’ll also be able to access their settings, if they have any. We’d like to make two main improvements to the keyboard menu. First, combining it with the input method menu. So that if you use input methods (such as for Chinese, Japanese, or Korean), you don’t have two separate menus for controlling your keyboard. In Ubuntu 12.04, a printing status menu appears whenever any print jobs are in progress. Unfortunately, it’s not that noticeable. So in 12.10, we plan to replace it with a temporary printing item in the launcher. This will correspond to a minimized window listing your recent print jobs. You can close it when done, or just ignore it, as you see fit. As these designs are fleshed out, the individual specifications will be updated in the ‘Unity Application and System Indicators’ section of The Toolkit. This is a lot of work, and you’re welcome to help out if you can. Pop in to the #ubuntu-unity channel on IRC, or get in touch on the unity-dev@ mailing list.